Complete with golf sensor mat. 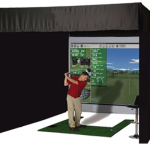 Equipped with practice range, two full courses, longest drive competition and closest to the pin contest. 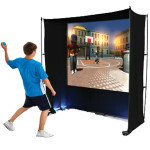 Sport Simulators Are Very Popular And Great For Any Event! Sports Include: Golf, Soccer, Basketball, Baseball, Football, and Bocce. Truly The Best Way To Play Golf Off The Course! 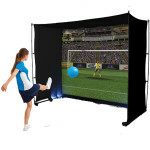 Perfect For Any Party Environment! Contact Us today to schedule your next rental!